What exactly is Percocet and when should it be used? 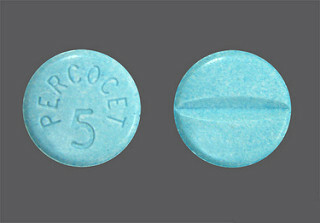 Percocet is a medication from the class of narcotics, which means that its primary function is to relieve pain. As for its chemical structure, it actually contains two other medications which are used for the same purpose, acetaminophen and oxycodone hydrocholoride. However, their combination is much more effective, and what is more important, by using it instead of oxycodone individually, the chances of the abuse of this medication are actually reduced significantly. It is successful at treatment of moderate and moderately severe pain, but in order for the person to use it, the prescription from the doctor is needed because its use and sale are regulated and controlled by special laws due to the fact that it belongs to the schedule II controlled substances. Situations in which this medication tends to be prescribed primarily refer to dental procedures, injuries and surgeries which are followed by short-term pain. However, it can also be used in the treatment of migraines and a number of long lasting conditions that have pain as one of the most commonly present symptoms. However, its use is not approved in the cases of children, regardless of the nature of the problem. Due to the fact that it belongs to the category of narcotics, the possibility that side effects will be experienced by a person who uses it is inevitable. This is why it is even more important to take it as prescribed and keep in mind the fact that under no circumstances the dosage or frequency of its use can be increased on your own. This is something that only a doctor who prescribed the medication can do, provided it is necessary. Overdosing symptoms or symptoms of poisoning from acetaminophen are not at all comfortable, and what’s more, they can damage the health of the person to a great extent, particularly the liver. Liver failure can occur in such situations. This is why those people who have a history of either drug or alcohol abuse (or dependence) are never prescribed with Percocet. However, due to the negative effects that might occur in people who use it, it is particularly necessary to be cautious when deciding on whether or not to prescribe it in cases of people with some disease of liver, kidneys, prostate or lungs. The same goes for cases of those who suffer from hypotension, hypothyroidism and even severe pain in the stomach. Is Carisoprodol (Soma, Vanadom) Detected In Routine Drug Screening Tests? Age considerations when prescribing Lupus treatment?